Provide comfort for the family of Janice Clark with a meaningful gesture of sympathy. 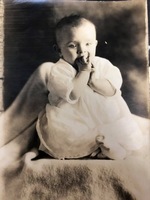 Janice was born on April 6, 1924, in Whitefish, MT, to the late Frank S. and Lois K. (Lyons) Harvey. Her father was a railway express agent on the Great Northern Railroad. 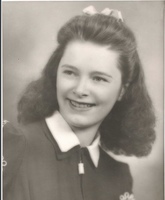 He was transferred to Billings, MT, Spokane, WA, and later returned to Whitefish, MT, where Janice completed high school, graduating with the class of 1942. She moved to Coeur d’Alene, ID, and obtained employment at Faragat Military Training Center near, Athol, ID. While working there, she met and married Kenneth Watson in 1943. She was later separated and their union was dissolved one year later. She returned to Whitefish, MT, where she later met Claude Byron Clark and they were married on February 28, 1947, in Coeur d’Alene, ID. They made their home together in Cashmere, WA. Once their children were old enough, Janice went to work in the fruit warehouses, packing fruit for Cascoa Fruit in Cashmere. 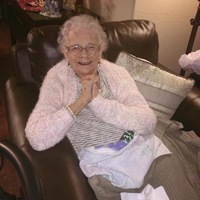 Following the sudden passing of her husband, Claude Byron Clark Sr., in March of 1972, she went on to continue her education at Wenatchee Valley College, where she received her nursing degree and became an L.P.N. She briefly moved back to Whitefish, MT and began her nursing career. When she returned to Cashmere, she went to work for Cashmere Convalescent Center. After retiring, she continued to make her home in Cashmere and then Wenatchee. Janice was a longtime member of the Cashmere First Baptist Church, where she was a Sunday School and Bible Teacher. She was an active member of the American Legion Auxiliary and had been Auxiliary President and later District President for WA State. She had a group of juveniles that she mentored and educated about the government. She was friends of the library in Cashmere and often volunteered at the Cashmere Museum. She was also a member of the Degree of Honor group. 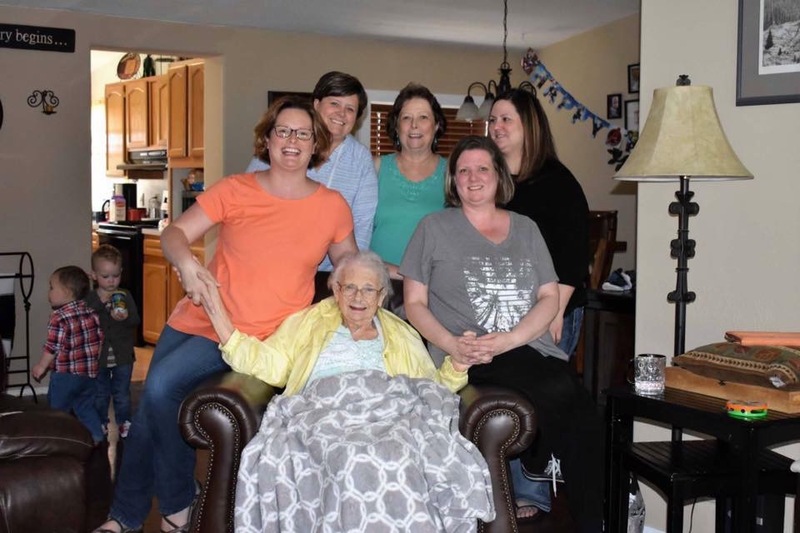 Janice is survived by children: Carol (Craig) Imper of Cannon Beach, OR, Paula (Kevin) Cody of Lolo, MT, and Ira Robert “Bob” Clark of Wenatchee, WA; grandchildren: Tammy Stanger of East Wenatchee, WA, Christy Phillips of Wilbur, WA, Kelly Robinson of Lexington, KY, Kerry Renken of Wenatchee, WA, Alicia Clark of New Orleans, LA, Jamie Clark of New Orleans, LA, Michael Clark of TN, and Dorian Imper of Seaside, OR and 17 great-grandchildren and four great-great-grandchildren. She was preceded in death by her husband, Claude Byron Clark Sr.; son, Claude Byron Clark Jr.; brothers: Frank Harvey and James David Harvey and sister, Lois Amanda Staley. A Private Family Graveside Burial will be held on Friday, April 5, 2019 at the Cashmere Cemetery. A Memorial Celebration will be held at a later date. You are invited to view her online tribute at www.Heritagememorialchapel.com to leave a condolence or share a memory. Arrangements are in the care of Heritage Memorial Chapel & Cashmere. To send flowers in memory of Janice Ann Clark, please visit our Heartfelt Sympathies Store. A Private Family Graveside burial will be held on Friday, April 5, 2019, at the Cashmere Cemetery. Provide comfort for the family of Janice Ann Clark by sending flowers. 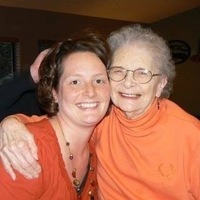 Always thinking of you my sweet Grandma! To Janice's family, There is so much sorrow in the world. But the death of our loved ones brings the deepest sorrow of all. Please accept my condolences. May God’s promise to help you through this difficult time bring you peace (Isaiah 41:10) and his promise for the future (John 5:28, 29) give you a wonderful hope.